Leaders in Utility Locating, Damage Prevention Training, Incident Investigation & Consulting Services. 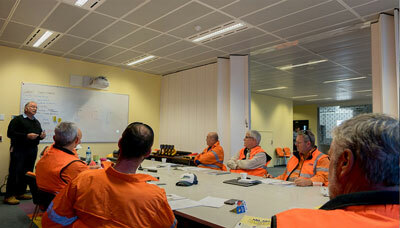 Staking U provides customised training solutions for companies and individuals working within the industry by providing support and understanding necessary to enable alignment with best practices for working around utilities including professional instruction on the use of underground services locating equipment. Staking U Asia Pacific provides comprehensive theoretical and hands on practical training in utility locating and damage prevention in the Asia Pacific region. With our affiliate programs in the USA and UK, we have access to a wide range of resources to ensure the best knowledge in EMI, (Electro Magnetic Induction) locating, GPR, (Ground Penetrating Radar) and non-destructive excavation. Staking U provides training in the operation of Ground Penetrating Radar. Access to qualified geophysicists means we have qualified staff on hand to provide technical advice on the workings of GPR equipment, allowing us to deliver training across almost all GPR models on the market. On completion of auditing and reviews, Staking U can assist in creating supporting toolbox training sessions for your staff and contractors so they fully understand their obligations, in the effective implementation of procedures and permit systems. Information obtained from our field audits is then used during a desktop review of procedures, permits and utility damage reports to determine system improvements necessary to achieve simplicity and comprehensiveness. This also often presents the opportunity to remove any conflicting information from your work instructions and procedures. To help you introduce and maintain best practice on your projects, we can provide several options for auditing and reviewing your existing systems. Our best approach starts with a field audit of your team's activities to determine where your existing procedures are being met, and where there is room for improvement. Staking U can work closely with your management, engineering and safety personnel to review and advise on improvements necessary to prevent incidents, injury and damage to vital underground assets. If required, we can act as a subject matter expert. Our consultants can attend and inspect sites to identify potential failures relating to inaccurate or inadequate locating activities undertaken, or provide advice based on desktop review of incidents and related records. 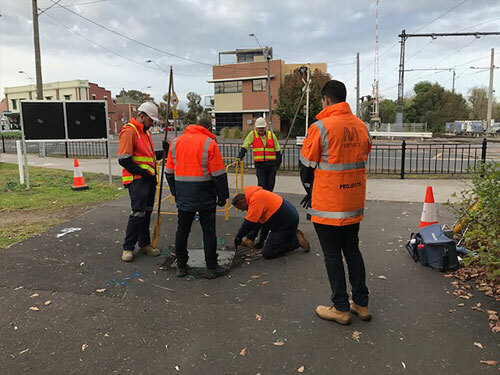 Staking U can assist in incident investigations and provide advice on technical and procedural aspects of locating which are often inadequately addressed during investigations involving damage to underground services. 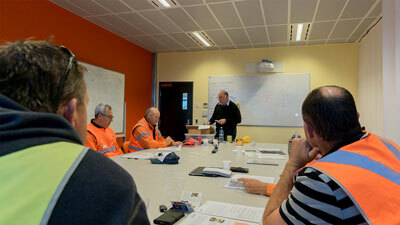 We can deliver training to individual operators or to multiple teams on major projects.